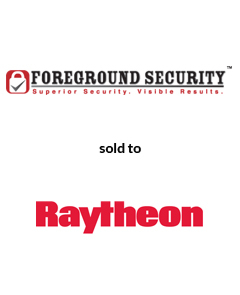 AGC Partners is pleased to announce that its client, Foreground Security, a leading provider of virtual security operations centers (SOCs), managed security service solutions and cybersecurity professional services, has been acquired by Raytheon. This acquisition, which will be called Raytheon Foreground Security, will accelerate Raytheon’s expansion into managed security services across federal, commercial and international markets. With a team comprised of Russ Workman, Eric Bell, and Harsh Sharma, AGC Partners acted as sole financial advisor to Foreground Security.